Home / Latest News / Should Real Estate Agents Carry Weapons? 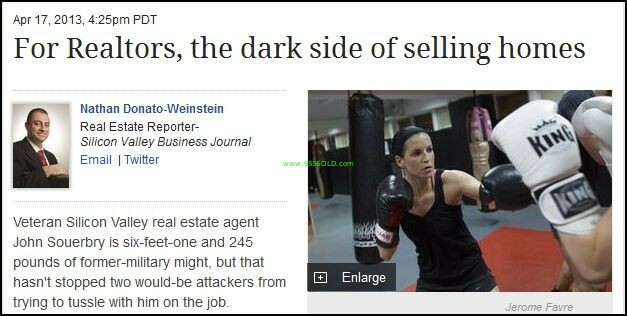 Should Real Estate Agents Carry Weapons? Realty Professionals 805-474-7040. There are attacks on Real Estate Agents all the time, especially in vacant homes and more so on younger female agents but not always the case. There are arguments for both sides of this coin, protection and safety come in to mind first. There is the argument of the Real Estate Agents protection in an unfamiliar location and many times vacant house or property. I know from experience that there have been many times that I have meet clients in vacant houses, apartment buildings, commercial buildings and industrial buildings. There have been a few instances that we entered vacant buildings and there were transients inside the building, luckily for us they cooperated and our visits were safe and productive but I am sure the clients were a bit uncomfortable. With most weapons without the proper training, continued training and use many people are actually hurt by their own weapons. Within the responsible parties weapons are a great asset and benefit. It is my opinion to have a basic knowledge of self defense such as martial arts and be in shape. Having the ability to escape the confrontation is always best but that is not always possible. The last thing you want to do is carry a gun or knife in and the attacker uses it on you especially if they were not armed going in. Being ex-military and having the training on weapons, knowing how to maintain, operate, carry safely and safe guard (properly secure) weapons I would be comfortable carrying a weapon but I choose not to. Growing up in the neighborhood I did, having military training and martial arts training I am very comfortable with myself in most circumstances that I can escape, evade, protect, defend or secure the threat. I would highly recommend that all Real Estate Agents take some form of Martial Arts for basic self defense, it could save your life or someone you know! If you have questions about California Real Estate call us now 805-474-7040 Realty Professionals.